Quick connect magnet attachment for hassle-free grounding. Compatible with many tools for polyethylene (PE) including ratchet shears. Ground the work area to increase operator safety. 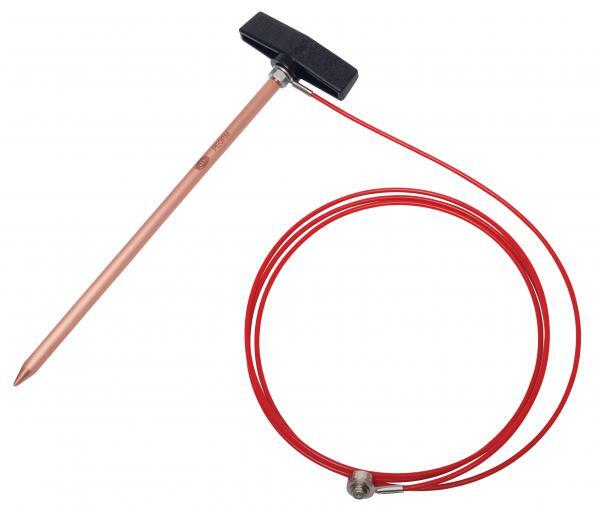 Heavy-duty cable with 7 foot working distance. Compatible with Reed's STDA1 Static Discharge Alarm.